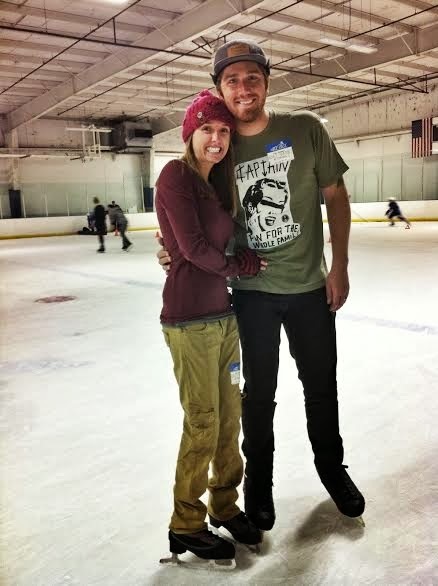 Ryan has been begging me to go ice skating for a long time now. And I don't mean like just asking once in a while, but he is like a kid pulling on his mom's pant leg for candy - he REALLY wanted to go (you can even ask my mom, he started begging her too while we were back in Michigan for Thanksgiving and Christmas). 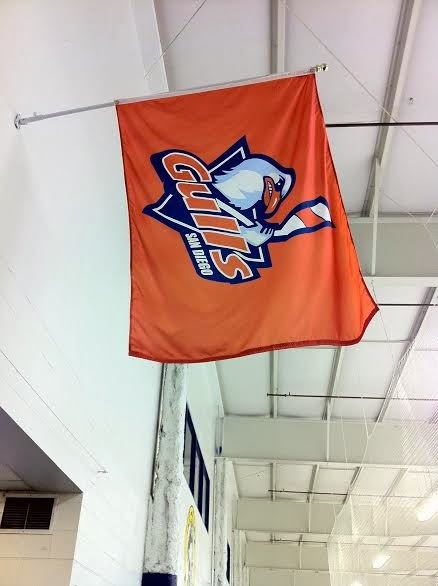 His main reason, other than the fact it is fun, is that he has been wanting to play ice hockey for a while now. 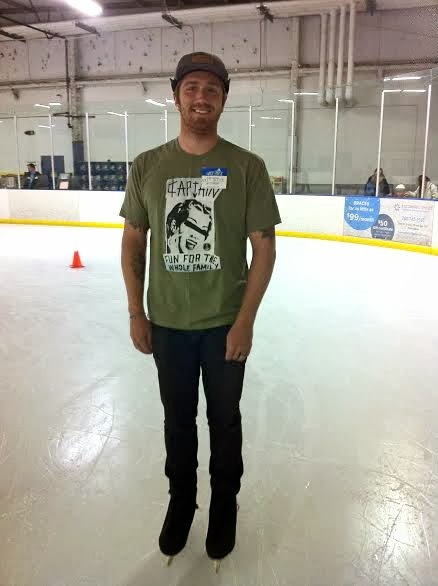 He "remembers" himself being a good skater, but he hasn't been in a while, so wanted to see if he would actually be able to hold his own on the ice. 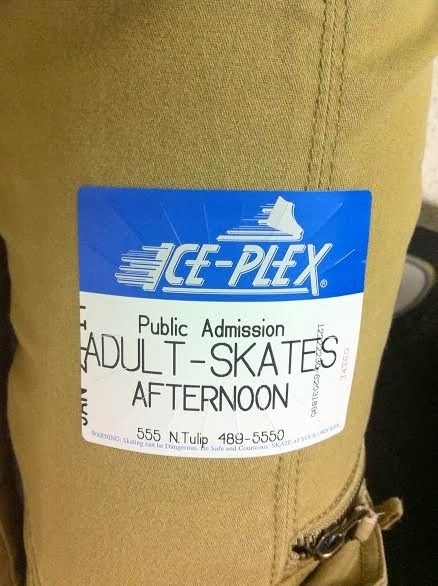 Well, yesterday afternoon, we decided it would be a great time to go (seeing as we tried to go for our I Date and missed public skate). 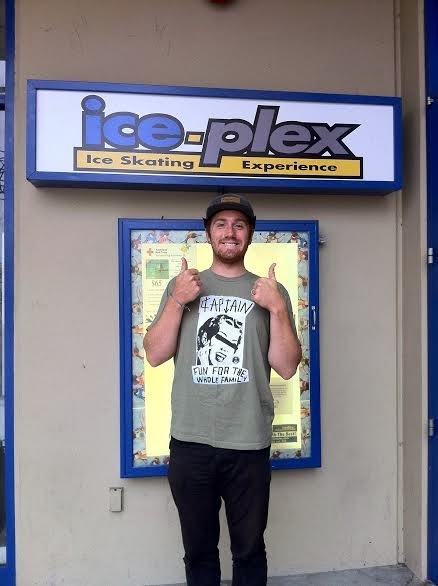 We headed over to the Ice-Plex (or Iceoplex, depending on which website you are looking at) to lace up our skates and hit the ice. 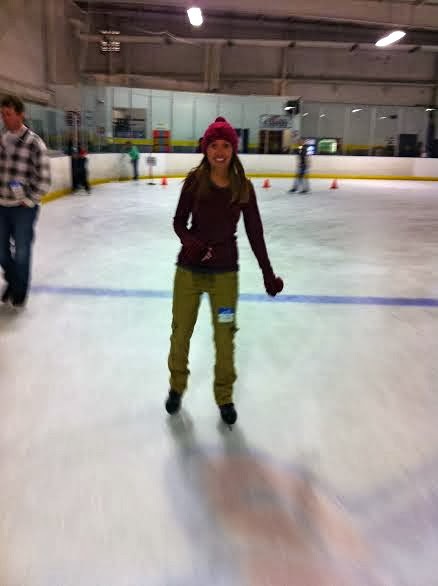 I tried remembering when the last time I had ice skated was and I couldn't... so I would say it was at least 15 years ago. And guess what?! I DIDN'T FALL DOWN! I think I would consider the day a success in my book! 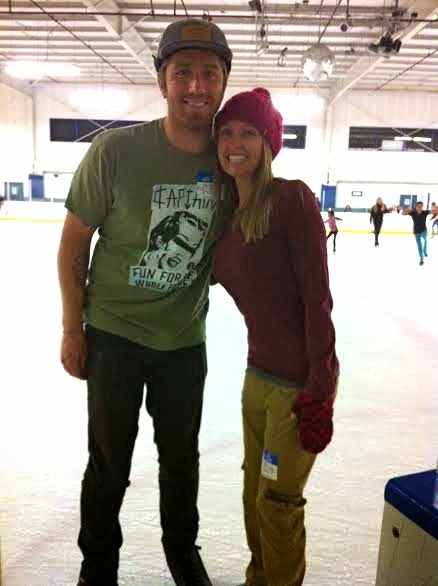 We skated for about 2 hours. A good time was had by all. 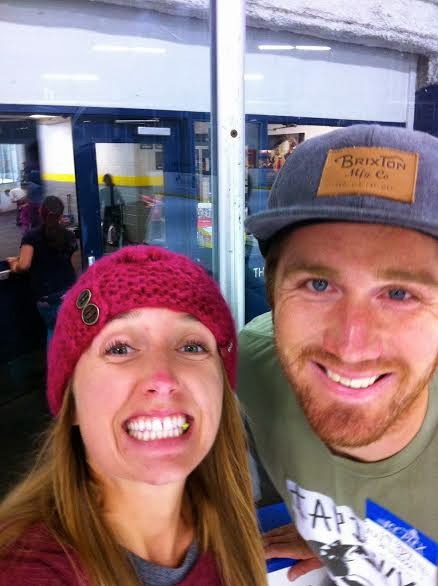 Don't worry... We did NOT try the Iron Lotus, even though we both felt comfortable on our skates after our afternoon on the ice.